HAPPY SATURDAY!!! I am home from CHA and fully exhausted! :) It was sooo much fun!! I met so many wonderful people and saw so many different things! It wasn't exactly what I was expecting, but it was great none the less! 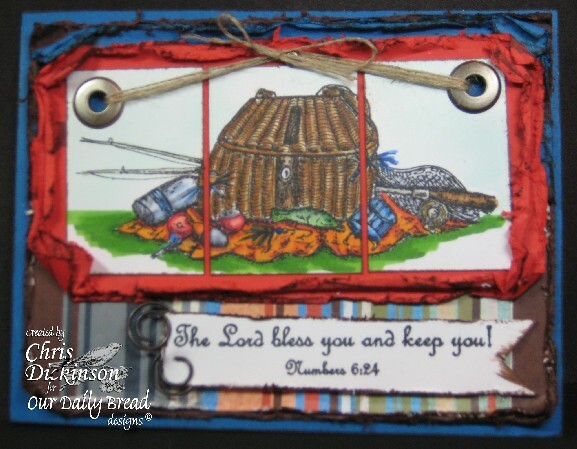 Today, I have the Shining the Light Challenge at Our Daily Bread Designs to share with you. 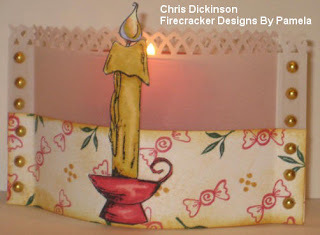 This week's challenge: to use a ribbon and charm and one other embellishment- but no flower embellishments unless it is your charm. 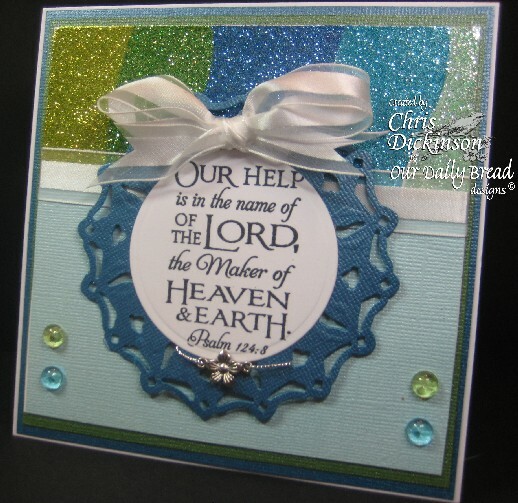 To make the challenge even more fun, we will be giving out a prize , a $15 gift certificate to be used toward stamps at the Our Daily Bread Designs store!! Entries for the prize must be submitted by Thursday, August 5th on the Our Daily Bread Designs Blog. One random winner will be chosen and announced next Saturday. 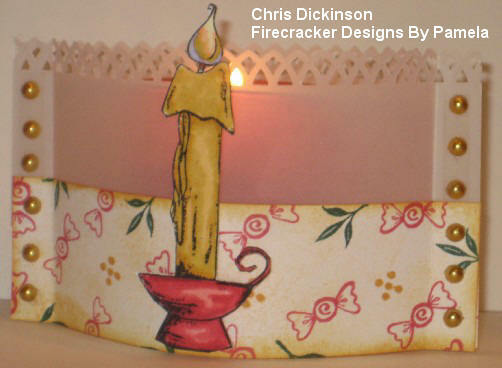 We will even choose a few Shining Light Awards for those who participate. 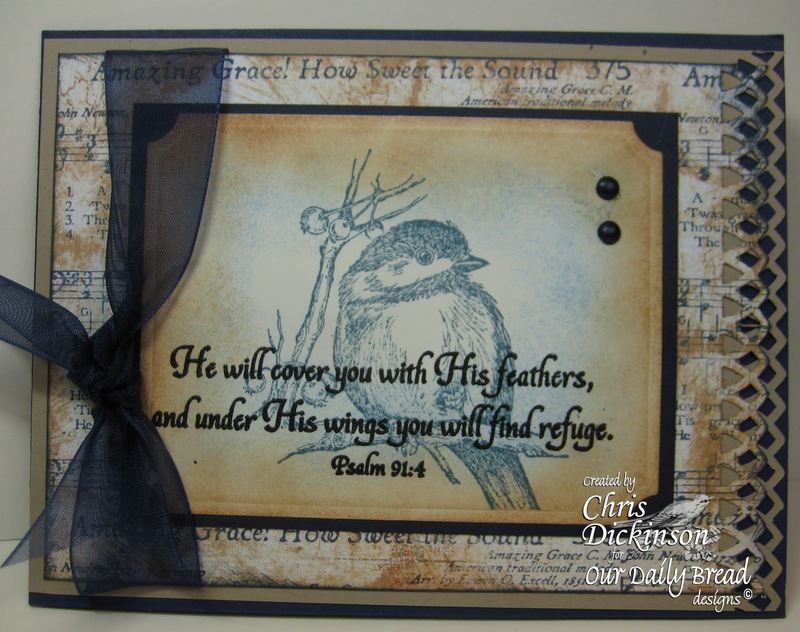 Check out the Our Daily Bread Designs Blog for even more details! Thank you for stopping by! Have a VERY blessed weekend!!! I hope you have a WONDERFUL day!!! Be blessed! THOUGHTS OF YOU & SHHHH a SURPRISE! KAH-WINK-E-DInk Digis - Anything goes as long as it is cool! The colors I used to color this/ cardstock are in the Cool tones. Thank you for stopping by! Have a VERY blessed day! The first one is for the CLUB POSH you can have a chance to win by participating! go check it out!!! The deadline is July 30. 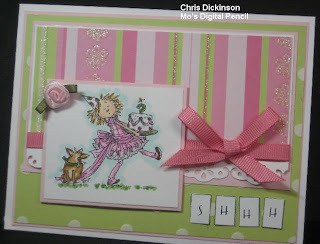 Daring Cardmakers - Layer it Up! OK...now for some more of the nitty gritty details! Thank you for looking and commenting! Have a great day! 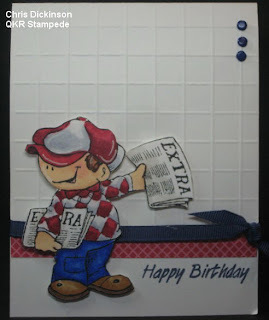 Paper Take - Cutie Patootie - I love this CUTE image! 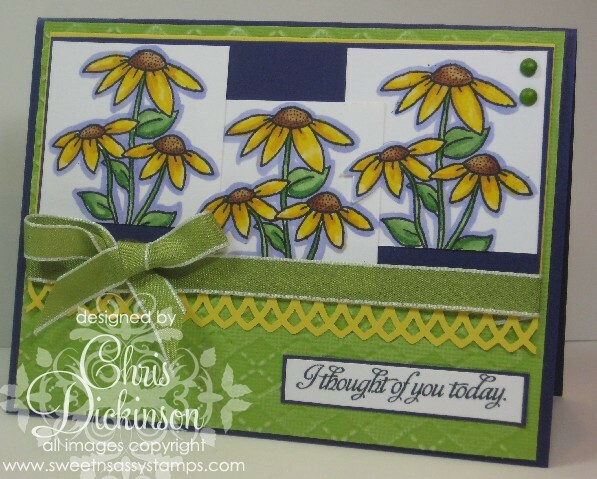 Gingersnap Creations - Use your markers! - I used my Copics! 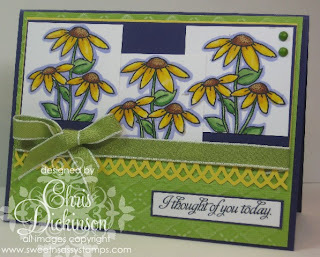 Sentimental Sundays - It's all fun and games - this is a FUN image and card! 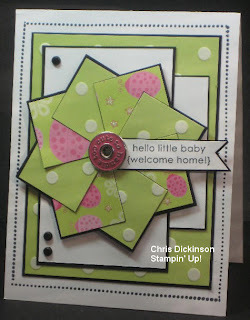 Splitcoast Stampers Clean and Simple #77 Red Fish, Blue Fish Inspiration - used the colors!! 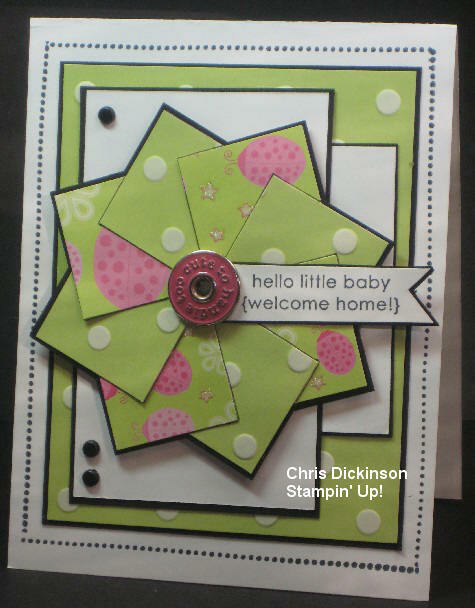 Stamps: Aren't they CUTE? News Boy from QKR Stampede and Happy Birthday from QKR Stampede too! I am off to snuggle with one of my gremlins! The other gremlins went to an Acting Camp and will be there through out the day time hours this week. So my youngest and I are hanging out! Thank you for stopping by and leaving me some love!! Have a wonderful week! Hello and Happy Saturday!! I hope you are having a great weekend!! 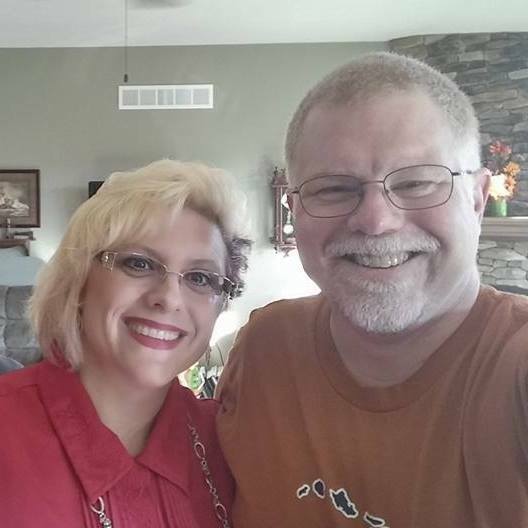 This is my BIG BIRTHDAY weekend, so my Sweetie took me shopping and out to dinner tonight. 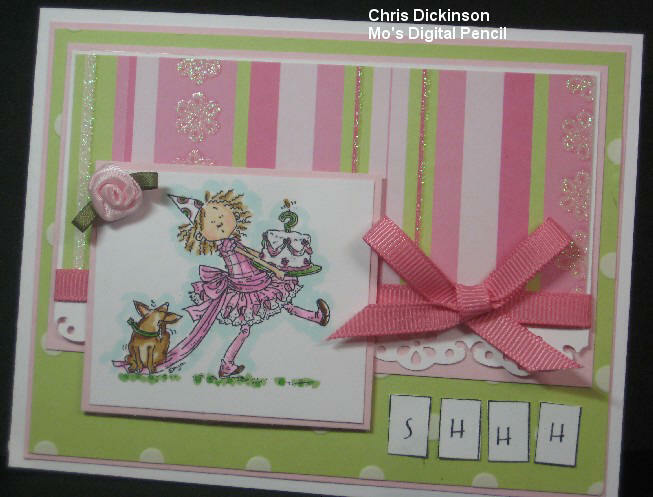 I am HOPING to get a Bamboo Fun for my stamp designing! Today, I get to craft all day, as my husband is home. I ended up taking the past two days off - I was just needing a break and a time of refreshment. The kids and I ended up playing Canasta, Trumpet and watching movies due to rainy weather! 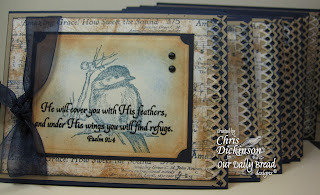 This week, I have the Shining the Light Challenge at Our Daily Bread Designs to share with you. This Week's Challenge: The team would like you to distress it. 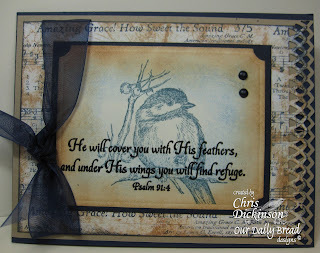 You can use ink, tearing, or ripping...whatever it takes to give a distressed look somewhere on your creation. 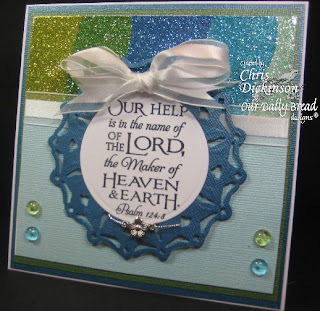 To make the challenge even more fun, we will be giving out a prize , a $15 gift certificate to be used toward stamps at the Our Daily Bread Designs store!! 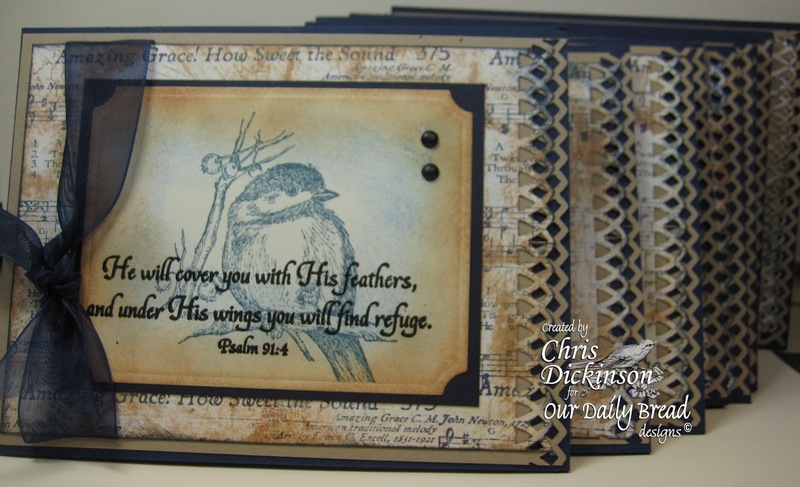 Entries for the prize must be submitted by Thursday, July 29 on the Our Daily Bread Designs Blog. One random winner will be chosen and announced next Saturday. We will even choose a few Shining Light Awards for those who participate. 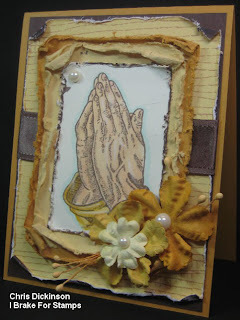 Check out the Our Daily Bread Designs Blog for even more details! Today, I have two projects to share with you. Here are the details! Thank you for stopping by! 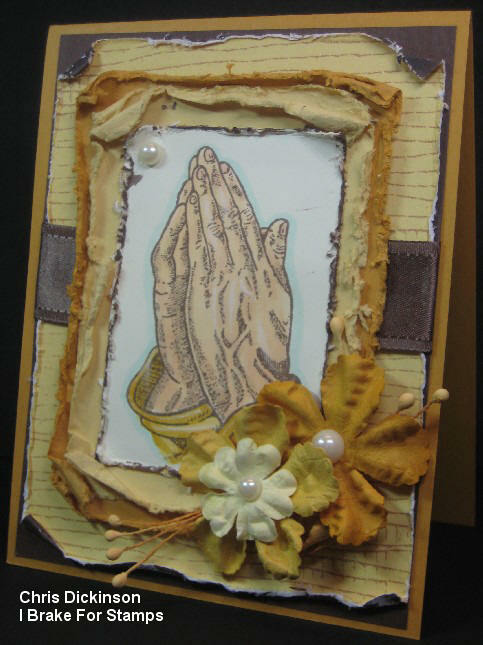 Have a blessed and creative weekend! 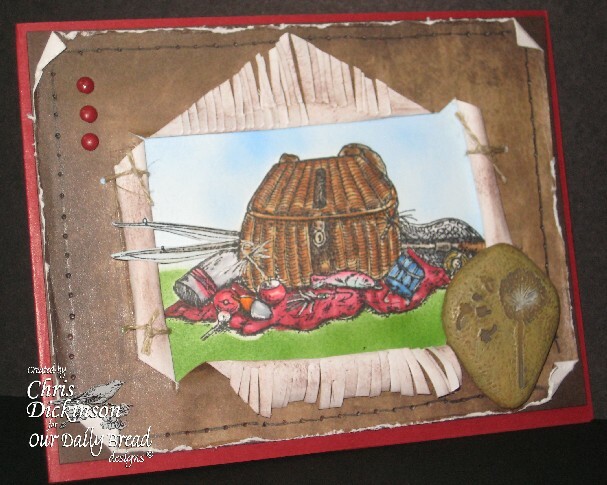 For starters, you should have arrived here from Jerusha's art filled Blog! Wasn't her project CUTE? If you have not arrived here from Jerusha's Blog, the BLOG HOP STARTS HERE, but be warned! The Design team has some ADORABLE, CUTE and QUIRKY projects with a Christmas/ Frosty in July theme! You will have an opportunity to win a $25- Shopping Spree from QKR Stampede (shipping will be paid too!) 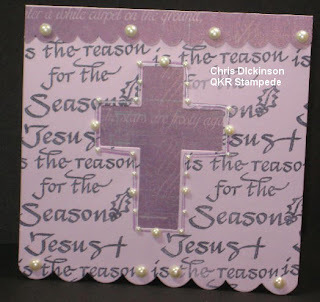 Go back to the QKR Stampede Blog for your chance to win! The Deadline for entry will be Wednesday, July 28th at midnight EST. We will announce the winner on Thursday, July 29th on the QKR Stampede Blog. 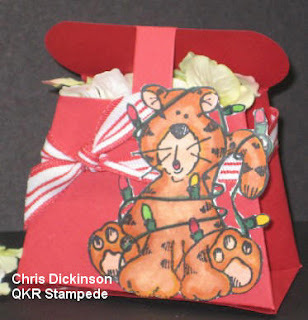 For the second project uses this adorable Christmas Cat image from QKR Stampede. Thank you for stopping by! I hope you have a wonderful, safe weekend filled with MANY BLESSINGS! Have fun on the HOP! Hello my friends, Today, is the beginning of some changes for myself. Do you ever find yourself slipping into bad habits? Well, I have been!!! I have been sleeping in late, not getting as much accomplished, because I tend to be more of a morning person and if I sleep that time away not as much gets completed and my time with my family is shorter. In addition to that, I find myself making bad choices as far as food, especially at night! One reason I am waking up earlier, is due to my fall school schedule. I am beginning to prepare for that and by waking up early NOW, it will not be as painful next month! :) OK... enough about ME...although there are TONS of things happening that I will announce in due time, but I am continuing to pray for wisdom and I want to be sure I am on the same page as GOD as I make these decisions! I have to remind myself that while there is a lot of good things and opportunities, not every one of them is what the LORD wants me to do. I hope you have a day filled with peace and the joy of the LORD! Thank you for stopping by and commenting. Your kind words of encouragement, are always a blessing to me. Have a great day!